And more on my mind. My husband Arthur was inspired when someone cancelled an evening appointment short notice because “they have been asked to stay late at work”. Regina is a highly sensitive massage therapist. I started sessions late in my pregnancy (35 weeks) and have been enjoying weekly massages that are both relaxing and good for relieving pain and tension. Regina has a very intuitive and refined touch: she seems to be able to find just that spot that needs work and applies the perfect amount of pressure. This works well when I've identified painful areas in advance, but often areas of tension only come to light during the massage, which are then worked out. The massages have provided relief in my legs after experiencing regular night cramps, have eased ligament pain in my abdomen, and have relaxed pain and tension in my achy hips. Regina has even managed to ease some peculiar feelings (not pain, but more like a muscular memory of trauma), that I had around a scar above my knee that I previously couldn't bear to be touched. In some sessions I have not requested specific areas to address, simply needing some general relaxing touch, and these have been equally therapeutic: I often wish they wouldn't end. Each session has started with abdominal massage and this feels like a lovely way to connect with my baby. Regina's sensitivity means I am confident to continue with her massages beyond my estimated due date as they have such a positive effect on both my physical and mental wellbeing. Beyond that I will certainly book for post-natal massage and look forward to all the benefits that will bring. Neuromuscular (also known as kinesio or medical taping) taping has been around for a while, and its best-known use is in sport. It allows movement and muscle activity to treat pain, muscle disorders and lymphoedema. I use neuromuscular tape mainly for lymphoedema treatment, certain applications work very well. A very small study looked at a novel method of reducing high blood pressure: neuromuscular taping. High blood pressure (systemic arterial hypertension in medical speak) is a well-known cause of morbidity (illness). It is associated with impaired function of the autonomic nervous system, which is regulating involuntary body functions. It is not clear how neuromuscular taping exactly works, it is thought that it lifts the skin slightly, which encourages circulation of blood and lymph. In other words, “its mode of action may involve muscular stimulation leading to increased local blood circulation or stimulating dermatological, muscular and fascial structures with a form of passive massage.” Thus the researchers wondered whether taping would have an effect on blood pressure. Neuromuscular tape was applied to the back (between vertebrae C1 and T2) of seven people with high blood pressure for 5-7 days. The blood pressure was measured before and after the application of tape. The blood pressure (both systolic and diastolic, mean arterial pressure and vagal tone at rest) fell after the application of the tape and this lasted for at least five days after tape removal. The researchers think that taping affects the autonomic nervous system by influencing the control centre for the cardiovascular system in the brainstem, encouraging a parasympathetic (calming) response. (Med Hypotheses. 2018 Jul;116:30-32.). This study is a proof of principle. I’d rather wear tape than take pills, but I’ll do both if required. I suffer with chronic neck pain and also have a busy life; working long days and looking after an active young child. I have tried physiotherapy which helps but I find the time spent with Regina so rejuvenating. She seems so know just where to touch to ease the tension and pain. I have had 4 sessions with Regina and have booked in for more. I look forward to my sessions with her and the release both mentally and physically. Thank you. University students are a popular group for scientific studies, as they are available, young and healthy (on the whole). A study investigated whether the inhalation of Bitter Orange essential oil would affect students suffering from premenstrual syndrome (PMS). Thirty-one women with PMS were given 0.5% of bitter orange oil (also called Neroli or Citrus aurantium blossom oil) for inhalation during the luteal phase of their cycle (after ovulation until menstruation). They were compared to 31 women who inhaled odourless sweet almond oil instead. All women completed a questionnaire about their PMS before the oil use, and also one and two months afterwards. It was found that women who inhaled Neroli oil scored lower on PMS symptoms both one and two months afterwards. (Complement Ther Clin Pract. 2018 Aug;32:1-5). Neroli oil is also called “the oil of gods” and is a general “pick me up”. Uses include anxiety and chronic depression and is said to be an aphrodisiac (no trials for the latter). A study of studies compared the effect of aromatherapy abdominal massage on women with painful periods (dysmenorrhea) compared to abdominal massage with a carrier oil only. It found that using essential oils is more effective in reducing pain than using just a carrier oil. (Complement Ther Clin Pract. 2017 May;27:5-10). If you are still fascinated by “number twos” this latest study is for you. 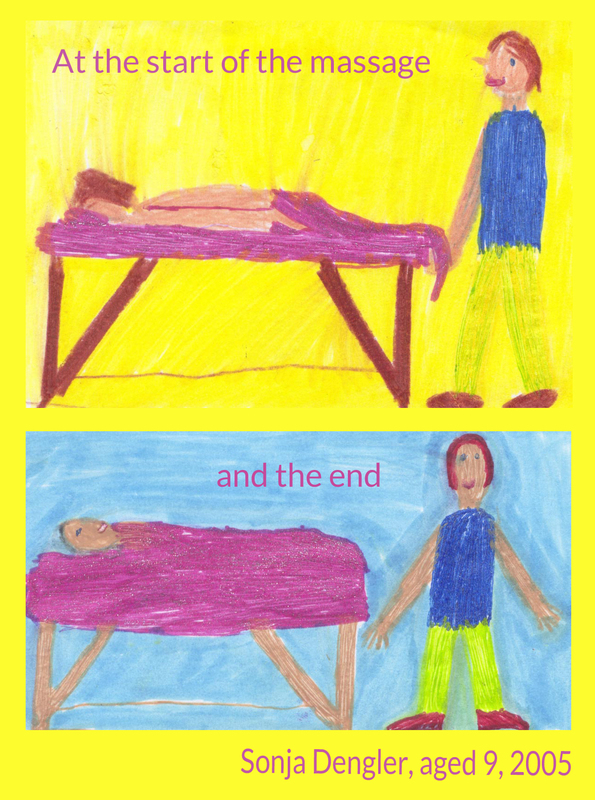 It looked at the effect of abdominal massage on constipation in nursing home residents. The measurements and language used in the abstract reminded me of conversations I had with my son. Did you know that there exists: (a) Rome III Functional Constipation Diagnosis Criteria Form; (b) Bristol Stool Scale, consisting of the Recall Bias and Visual Scale Analog; and (c) Standard Diary Constipation Monitoring Form? All three were used in this study of 22 constipated elderly residents. The abdominal massages appear to have done the trick, here is what the authors said about the effects: “It was determined that abdominal massage increased the number of bowel movements, stool weight, and stool consistency, decreased the mean scores for straining, and decreased inability to completely empty the bowels (except on the implementation days)”. (Gastroenterol Nurs. 2018 Sep/Oct;41(5):396-402). Why use plain English, if you can use convoluted language? Notice that there was no control group in this study, which was not pointed out in the abstract. Another study compared a number of complementary therapies applied during the birth of their first baby with a similar group of women not using these therapies. Participants were taught number of evidence based complementary therapies (acupressure, visualisation and relaxation, breathing, massage, yoga techniques, and facilitated partner support) in a two day training session. It was found that women in the complementary therapies group were less likely to have an epidural, fewer augmentations (speeding up of labour), lower caesarian birth rate, a shorter second stage of labour and fewer resuscitations of newborns, compared to “standard care”. In Germany there is a long tradition of a Kur, compatible with “taking to the waters” in England. The difference is that it is still happening, mostly financed by the German health insurance, even though it has been more difficult to get a Kur authorised. It is only financed for rehabilitation after a serious illness or major surgery. A Polish study looked at the effects of a three-week spa stay on older people with osteoarthritis (OA). It recruited 70 people aged 60+ with OA, who stayed at the Spa for 3 weeks with 15 treatment days. The participants had therapy for 120 to 150 minutes a day. They had “typical” spa treatment such as peloid therapy (mud baths and the like), hydrotherapy with mineral waters, and crenotherapy (drinking mineral water) as well as massage and movement therapy. Two different pain scales and a quality of life questionnaire (WHOQOL) were used to assess the condition of the OA patients at the beginning the spa treatment, after three months, and one year after the first examinations. It was found that spa treatment reduced the level of pain in the majority of the participants in short and long-term follow-up, that is even after one year. It also improved the quality of life in terms of social relations and environment (finances, safety,...). (Biomed Res Int. 2018 Jul 2;2018:7492106). It is of cause entirely possible that these improvements would have happened with or without the stay at the spa. Hence the author recommends a controlled trial comparing “usual care” with spa treatment for older people with osteoarthritis. I know which group I’d like to be in, but I rather forego a Kur than have a serious medical condition. Some women have chronic pain and limited arm movement following breast cancer surgery, even though they use pain killers and had physiotherapy. A study examined whether myofascial massage would help. They recruited 21 women with persistent pain and mobility limitations 3-18 months after breast surgery. Half the women had 16 myofascial massage sessions over eight weeks that focused on the affected breast, chest, and shoulder area. The other half received 16 relaxation massage sessions over eight weeks that avoided the affected breast, chest, and shoulder areas. The women completed a questionnaire about pain, mobility and quality of life at the beginning and end of the study. Both groups were similar in demographic and medical characteristics, pain and mobility ratings, and quality of life. However, treating the affected side with myofascial techniques reduced pain and increased mobility and quality of life compared women receiving the relaxation massage. All the 21 women reported that receiving the treatments was a positive experience (surprise, surprise). The authors conclude that myofascial release “is a promising treatment to address chronic pain and mobility limitations following breast cancer surgery.” (Int J Ther Massage Bodywork. 2018 Aug 5;11(3):4-9). As you may know, I have done quite a bit of training in myofacial release (MFR), and some clients report amazing results. My next update in manual lymphatic drainage will incorporate MFR techniques particularly suitable for women after breast cancer treatment. That is why I have chosen that particular update in Holland. Complex decongestive therapy (CDT) consisting of compression, MLD, exercise and skin care is best practice for the management of lymphoedema. It is recommended that there is an intensive phase with multi-layer compression bandaging (MCB) to decrease the oedema followed by the maintenance phase with less frequent treatment and the wearing of compression hosiery. A study looked at whether MCB only would achieve a similar limb volume reduction to CDT, which of cause would be cheaper and less labour intensive. The study included 103 older people (aged 60+) with lymphoedema of one leg. Half were treated with CDT, half had bandaging only for 15 treatments. BMI (body mass index: weight in kg/(height in metres^2), volume and circumference of the affected leg were taken before and after the treatment. Both treatments are effective in reducing the oedema of the leg after 15 sessions. Compression bandaging is a vital component of CDT. This study shows that it can be used on its own. (Clin Interv Aging. 2018 May 14;13:929-934.). In my opinion compression is the most important part of lymphoedema treatment, and this study confirms this. Exercise works well in reducing and maintaining lymphoedema, but only with compression or in water. The following is another study on women with breast cancer-related lymphoedema (BCRL). It looked at whether obese women do not respond as well to lymphoedema therapy. Fifty-nine women with one-sided BCRL received complex decongestive therapy (CDT), that included manual lymphatic drainage, intermittent pneumatic compression pump, multilayer compression bandaging, lymphoedema exercises, and skin care. They had an intensive course of one-hour treatment daily for 3 weeks, a total of 15 sessions. They measured arm circumference and calculated the limb volume for both arms. The women had moderate lymphoedema. It was found that for the 29 obese women in the study there was a reduction in limb volume, but in the 30 women with normal weight the reduction was much bigger. Moreover, after one year, women with normal weight still benefited from the intensive treatment while for obese women the arm had swollen to pre-treatment levels. The authors conclude that the treatment of lymphoedema must start early, before the swollen limb accumulates fat and becomes fibrotic. (Lymphat Res Biol. 2018 Oct 3). That is a point I would agree with, as lymphoedema “naturally” hardens and becomes more difficult to treat. However, I wonder whether there is another factor at play, with obesity generally not helping the lymphatic system. It is also possible that these obese women were also suffering under lipoedema, which is a fat disorder. I really needed to see Regina today. My arm was very stiff and painful – my own fault, I hadn’t worn my sleeve enough. She always releases the tension – it’s like a space develops and the effect is warming and relaxing. How does she know where to hit (not literally I hope) the spot? How much pressure is best? Another study on women with BCRL looked at three different bandage pressures for lymphoedema bandaging. This was part of CDT. It was found that the lowest pressure (equivalent to compression class 2) was not as effective as higher pressures. The limb reduction was the same in women who effectively had bandage pressure equivalent to compression class 3 or 4, but obviously slightly less pressure (class 3) was better tolerated. Most arm limb reduction was within the first week, so garments to be worn after the intensive phase can be ordered one week into the intensive treatment. (Lymphology. 2018;51(1):28-37). With the Christmas season coming up, remember that you can give an experience as a Christmas present - a gift voucher. Issue 29 of the Massage Message: November 2019.